Classic mid-size sedans like the Honda Accord and Toyota Camry balance your desire for on-road luxury with a seriously dependable ride. Wondering which one is right for you? Check out our comparison guide to learn more. In this segment, the 2017 Honda Accord rules the luxury department. Both rows of seating are well known for their premium passenger space, but they also supply the kind of cushioning that keeps you comfortable for hours on end. From this perspective, making your way through congested city streets is blissful and the Accord's upscale leather upholstery will up the luxury ante. The Camry is among the most spacious family sedans on the road. You'll find that the roomy backseat even makes it easy to install a rear-facing child seat. However, the Camry lacks some of the Accord's panache, coming off as clean-cut but not necessarily high-class. The Accord supplies complete smartphone integration with Apple CarPlay and Android Auto connectivity. The cutting edge infotainment features display vital smartphone details directly on your Accord's central touchscreen, which means you don't have to look away from traffic to find new music or make a quick call home. Toyota's Entune infotainment gets the job done, supplying intuitive menus so you don't have to sort through too many screens to get to the feature you want. 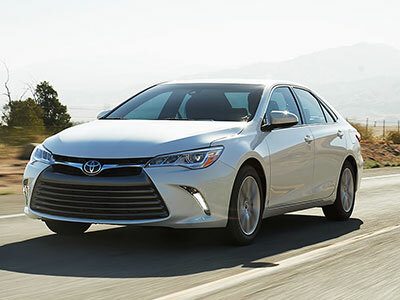 However, the Camry has yet to offer Apple CarPlay or Android Auto, and picking up your smartphone during your highway rides remains ill advised. Safety is among the Camry's top priorities, which shows in its pristine crash-test scores and high-end tech gear. In government crash tests, the Camry earned a perfect five-star rating for overall protection. All models come standard with a rearview camera, so you can spot something potentially dangerous before it becomes a catastrophe. The Accord also earned top marks in crash tests. The Insurance Institute for Highway Safety gave the Accord its top score of "Good" in every single crash test. However, driver aids like the forward collision warning system have been known to be a bit overeager, warning you to slow down when there's no danger in sight. The Accord is the king of the road in this segment, supplying the kind of smooth ride that you might expect to see in a luxury sedan. 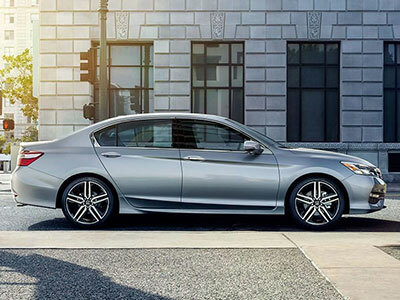 When you hit the accelerator in earnest, the Accord responds with a rush of speed for seamless highway merging. Like the Accord, the Camry is known for its on-road comfort and quiet ride, even at highway speeds. The Camry feels composed, even around sharp turns, but it's not quite as big on fun. By contrast, the Accord's quick steering provides a lighthearted spin around town. Both the Accord and the Camry supply a cushy driving experience, adding substantial luxury to any ride, but the 2017 Honda Accord is the overall winner. This sedan is family-friendly first and foremost, but it always delivers certain sophistication - whether in its smooth performance or spacious, supportive backseats.